Kids have it tough these days. With all the selfies, hashtags and twerking (voted some of the most annoying words of the year, btw), how are they ever gonna grow up to be well adjusted adults? Now, they can’t even get to the champagne to celebrate the new year in drunken style like all their supposed role models. Sorry kids, because; that’s why. As for the rest of us adults, we totes get to nom nom nom that champagne. Happy 2014, all! R2-D2 has it good. Despite the occasional foray into battle, the little droid does pretty well for himself. He gets carted around in spaceships, has a big gold buddy and is down with a princess. However, like all droids, every once in a while he needs a tune up. As in an oil change. 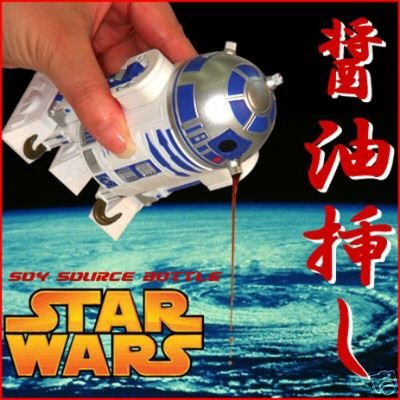 Little did we all know, but R2-D2 runs on delicious soy sauce. The Star Wars R2-D2 Soy Sauce Bottle Holder Dispenser is a handy dandy condiment dispenser that measures about four inches tall (so the Jawas won’t find him). Luckily with or without the scavengers, R2-D2 is ready for service. Dinner service that is. Who knew back in the 70s that R2-D2 leaking oil would be delicious for your rice? Aside from George Lucas, that is. While it may be vacation time for some, others still have to show up at the office with a tie. But don’t worry: that doesn’t mean you have to wear the tie. For your next holiday party try the Botskis Season’s Greetings / Christmas Tree Bottle Tie – Plays Jingle Bells & Blinking LED on for size. It’s a lot more comfortable and enjoyable for all. Cheers and Season’s Greetings! The holidays are all about family, friends and food. And of course, wine. Sharing a bottle (or three) with family and friends over food is a fine way to finish the year. But if your gathering can’t finish the bottle, don’t let it go to waste. 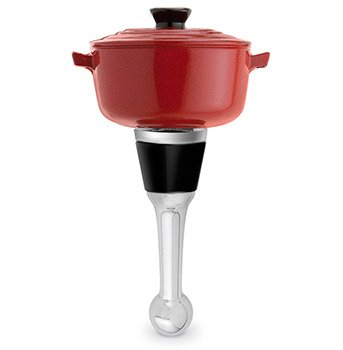 Let the Chef’s Red Pot Wine Bottle Stopper seal in that holiday spirit. Or wine as the case may be. 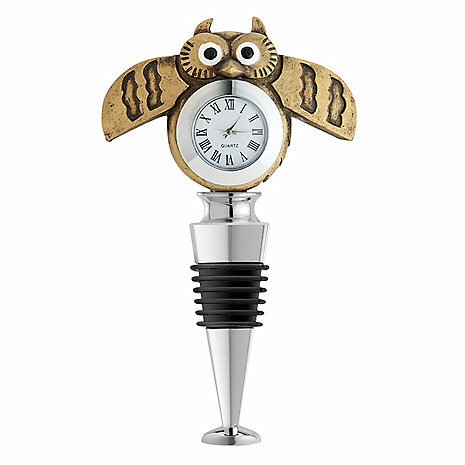 It may not yet be Halloween, but don’t tell that to the Happy Owl’oween Bobblehead Owl Wine Stopper by Peachy Kitchen ! 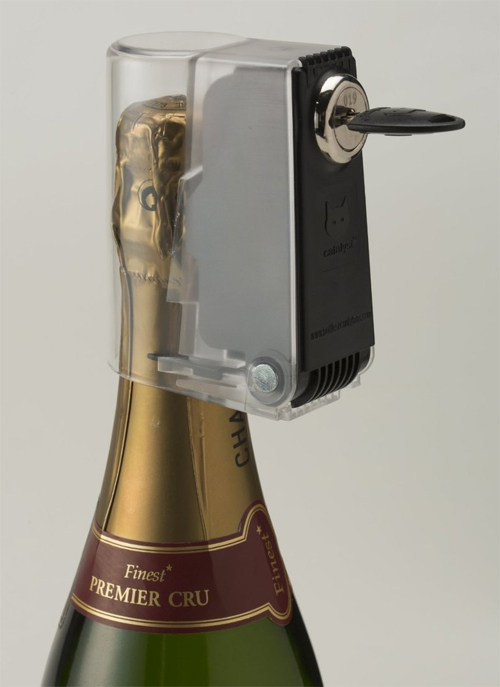 This little guy perches upon opened bottles of wine and stops them from being trick-or-treated away. Well, tricked away at least; the treat part is up to you!